You may be wondering about the difference between CPA (Certified Public Accountant) and accountants in general… aren’t they the same? CPA vs Accountant: What’s the Difference? Every CPA is an accountant but not all accountants are CPAs. 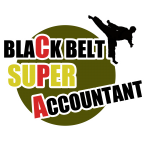 I like to describe CPAs as “Black Belt Accountants”, meaning that they have achieved beyond what a normal accountant does through advanced education, training, education and high ethical standard. Let’s compare CPA to accountants in terms of education, experience and opportunities. The CPA educational requirement is the most demanding among all accounting and finance qualifications: you need to be in accounting concentration or have taken enough credit hours to demonstrate the same level. Also, you must have at least a 4-year bachelor’s degree, and have taken 150 credit hours of higher education. As a CPA license holder, people have comfort in your education level simply by looking at your title. CPAs, not normal accountants, fill senior finance positions. In light of the financial scandals in the past years, corporations have increasing pressure to only hire qualified professionals in order to uphold the accuracy and integrity of the company’s finances. At the same time, for non-CPA accountants who move up to such senior positions after years of hard work, they are asked by the company’s board to “get the CPA done” within a year or they will be fired. I have more and more readers in this situation. If you are young and have the time and energy to take on this exam, it is the best time to do it. Your opportunities aren’t limited to CPA firms or auditing. The CPA qualification is the most recognized in the accounting field, so it is applicable and beneficial to any career related to accounting. It could be the typical Big 4 route towards partnership, or it could be as different as a strategic advisor to an amazing start-up. You could specialize in tax in an investment bank to offer valuable insight in M&A structure, or be the boss by launching your own CPA firm. Sky is the limit in terms of what the CPA qualification can help in your future career. Because of these reasons, accountants in different backgrounds are considering getting a CPA to enhance their credentials and income generation power. You can learn more about why you may also want to become a CPA here. Because finding a CPA review course and CPA review discounts may be necessary as part of becoming a CPA, you may want to head over to my sister-CPA site to learn more. What can accountants specialize in? What is public accounting vs non-public accounting? Would You Like to Learn More about the CPA Qualification? You may still be debating whether becoming a CPA is a good idea, but I am more than happy to help you along the way! So you’ve been chucking along in your accounting career for a while. Things are fine but you are looking for more… whether it’s more money, more challenges and more interesting work, your career is probably due for an upgrade. Let’s take a look at how you can do it. Whether you are an auditor or financial analysts working in a company’s accounting department, you can always make the jump to a bigger competitor. For auditors, it would mean switching from local/regional firms to national firms and the Big 4; for those working in non-public accounting, it could mean going from a regional company to a big, multi-national, fortune 500 corporations. More opportunities in internal transfer – transfers between departments are common and sometimes encouraged in these firms. It’s a great opportunity to keep your accounting job interesting and greatly enhance your exposure and networking within the firm. For the adventurous lot, you can even apply to overseas post for a truly special experience. If you are working in a “hot” industry and Big 4 is looking to expand that division, you have a pretty chance of success. But is the switching good or bad for you? Here is the pros and cons of working in a regional CPA firm vs Big 4. If you look at the triangular structure of any CPA firm, you will not be surprised that most auditors will end up leaving public accounting and work somewhere else. Most of them will likely work with their former clients or related companies on the business side. Depending on the size of the company and whether it is a private or listed company, your experience will vary greatly. It could be a pretty stable job churning out monthly management report and annual financial report. General tips is to pick a business sector that (1) you are interested in and (2) has a relatively good future. Then it could be a stable yet interesting job. The switch from corporate to public accounting is relatively rare, and if it does happen it is most likely at the senior level when the CPA firm looks for expertise in a particular business sector. If you started with public accounting and switched to corporate in the middle of your career, when you accumulate enough experience and connection you can certainly think about going back to public accounting by starting your own CPA firm. As your own boss, there are more flexibility and upside, but it comes with the extra stress and risk that you need to consider as a business owner. Specialization often requires specific skills, which means that the job nature could be more interesting and likely more pay. Therefore, as mentioned in point 2, it is important to pick the “right” sector so you can benefit from an interesting and lucrative niche when you gain the necessary experience. As an accounting professional, I am sure you know how the CPA title demands respect from your family, friends, colleagues and business partners. More importantly, as you move up your career path either in public or non-public accounting, you need the CPA title to secure the job. If you aren’t a CPA yet, chances are that you’ve thought about becoming one from time to time. Keep your job – as you get promoted to senior positions such as controller and CFO, you may be asked to get a CPA qualification… or out. Better get it done sooner rather than later. You can check out this beginner’s guide to pass the CPA Exam, or a similar page written for candidate with international background. Good luck! If you don’t meet all the CPA requirements, you may also want to check out the CMA designation. You can read how to become a CMA, receive CMA discounts, or get exclusive Gleim CMA discounts. And if the CMA designation doesn’t work for you, the Enrolled Agent requirements are some of the easiest to attain. You can also find EA review course discounts and the Gleim EA review discount as well. Public Accounting vs Private Accounting: What’s the Difference? Think of public accountants as “external” accountants who provides services to clients such as audit, consulting and tax planning services. Then, think of private (non-public or corporate) accountants as “internal” accountants who work in a company, non-profit organization or a government agency. You can work in the financial accounting, management (cost) accounting, budgeting, corporate planning, treasury or in the internal audit department within the corporation. How do I Choose between Public Accounting vs Private Accounting? It largely depends on your career aspiration, strengths and personality. Good People Skills. Public accounting is a client oriented business. This means that you need good interpersonal skill. For example, you’ll need to communicate effectively with your clients. It is also helpful to understand the client’s business and to request information for your analysis. It may sound easy, but not all clients are willing to release all information. You need to be tactful and consistent to get the data and complete the audit work. As you move towards partnership, you’ll acquire important skill in how to deal with difficult clients and maintain ethical standards and integrity at the same time. More Stressful Environment. Because you are dealing with a wide variety of people and demands, public accountant’s work is more stressful. On the other hand, private accountants work with the same group of colleagues and tend to have a more relaxed lifestyle. Longer Hours. Because you work with clients instead of colleagues, the deadlines are often hard deadlines. Over-time and late nights are common especially for junior accountants. Other than the account-closing month, corporate accountants have more or less a 9-5 job. Less Stability. While accounting job is considered one of the most secure jobs, the boom and bust of economic cycle does affect CPA firms as clients cut budget and corporate finance activities. Within public accounting, audit and tax teams are more secure than advisory teams for this reason. Better Exposure. Working in a public accounting firm expose you to a wide variety of projects, possibly in different industries. This is an unrivaled experience when compared to an accounting role in one company. More Doors Opened. An experience in CPA firm (especially Big 4) is valuable for your resume. It is always easier to go from public accounting to private accounting than vice versa. Both public and non-public accounting can offer rewarding careers for students interested in the accounting field. There are lots of interesting CPA career paths as you gain more experience in your niche. Big 4 vs local firms: is big necessarily better? Is Big 4 experience worth it? Big 4 is the dream for many aspiring accountants, but this may not be an ideal job for your long term career. Let’s take a look at the pros and cons of Big 4 vs small firm and make an intelligent decision for your accounting career. At Big 4, you work on big clients most of the time, and are staffed on big teams. As a junior staff, you will be specialized in a specific part of the audit, e.g. fixed assets. At a small firm, you work with smaller clients, and junior auditors can see an audit from beginning to end. You get a great exposure in many aspect as a first-year associate in Big 4. The breadth and the quality of client base is unrivaled so you can get your hands on some complicated situations and learn how to deal with them with the help of seniors. As you progress, you will be exposed to companies in many different industries. If you perform well and people generally like you, you can tailor your career within the firm and gradually move towards a specialized industry. Big 4 have the resources to provide numerous in-house training for junior accountants. It begins with a 1-2 week national training for new hires, then regular training and online webinars on special topics afterwards. These classes are free and most helpful for your career development and for fulfilling the CPA CPE requirements. Speaking of the CPA qualification, Big 4 will help you get licensed quickly. The firm offers Becker for free, or reimburses another review course if you’ve purchased that already. After passing, you get the CPA bonus. You will also have no problem getting your work experience verified by your manager who by default is an actively licensed CPA. Whether you want to stay in Big 4 or move on to industry, this experience is seen as a seal of approval from a resume perspective. The halo continues to glow in the new company as people generally give more respect to those with previous Big 4 experience. The Big 4 serve the biggest corporations in every industry. It is understandable that the clients’ demand and expectation is higher. This basically means that you, as part of the Big 4, will need to work hard to deliver the product, and extra pressure to make sure the product is among the best quality. Many accountants find it overwhelming, but some perform better a high-pressure environment. In any case, this is an important point to consider. Big 4 is not a place for someone looking for easy lifestyle. Staying in one level and not moving up is simply not a career choice. That’s why many Big 4 accountants end up leaving the firm despite all the attractions mentioned above. Depending on the nature of clients in your office, you may spend more than 80% of your time on one single client. This client is large and high-profile, which is great if you plan to stay and move up the hierarchy in Big 4. However, if you prefer variety, you won’t like it because the large client swallows up most of your schedule and you have less exposure to other companies and industries. The Big 4 accounting firms have grown so big that you probably don’t know people outside of your department. Also, in terms of client servicing, given the size of the clients and the audit team, you might get stuck with mundane work for the first couple of years. Regional and local CPA firms are often smaller, so it is easier to develop a close working relationship with the partners. Also, the fact that the audit teams are much smaller so you will have more chance working directly with the partner vs Big 4 where your supervisor will be seniors and managers. Since you don’t have the luxury of formal training, you learn at your feet, at the client’s site. This is a steeper learning curve and can be exciting and satisfying. Because your clients are likely private companies, you don’t get the pressure from deadlines and complexities from the publicly listed companies that the Big 4 are getting. This usually translates to better hours and work-life balance. Accountants working in small firms have the chance to perform the entire audits alone, and do tax during busy season. Your practical experience covers the vast majority of FAR, AUD and REG, which is more than 75% of CPA exam content. In a typical regional CPA firm, the client base is smaller and you get less chance to develop broad base of experience. This could mean frustration if you get stuck in an industry you are not interested in. Competition to move up the ladder can be tougher/slower than in a large firm. Your assignment and promotion is decided by a handful of partners and this could be very subjective and sometimes unfair. I guess it is safe to assume that Big 4 can afford to pay more than the smaller firms. The starting salary is typically a few thousands less, and they may not offer bonus after passing the CPA exam. Yes I think it is better to start out with a smaller firm than a larger one simply because you will get a better chance to get to know your co-workers better and nothing will be a rush. You will also get to learn more about the career you chose with the one on one rather than being thrown out in a sea of sharks. Joining a small firm always helps in gaining more experience faster. In the larger firms, the work is distributed into smaller chunks between more number of employees and so you get to gain experience in just one small area. In smaller firms since they do not have the luxury of a large pool of employees more work is distributed to small number of employees. So the breadth of learning is quite high. Survival in the initial days will seem to be difficult but over a period of time, you get to learn more and handle stuff yourself. One good way to cope up with difficult situations is to ask someone to mentor you (not train but mentor) so that you can go to them and talk about the problems you faced. They can in turn give you valuable advice in terms of managing such issues. Another way is to network with as many seniors as possible and try to learn without eating into too much of their time. And once you gain experience, you will be surprised at how well you will be able to guide freshers. I’d love to hear your thoughts. Please share your view in the comment section below. Jake has been working in the Internal Audit department at his alma mater for a year now. He is kind enough to share his experience with us. I saw a job opening at the university I went to when I took the master’s degree. It is really interesting to see how the university is run on the other side. How do you like about your job? I LOVE it. As an internal auditor, I get to meet with people in different departments — from the college, law school, medical school, to the state-of-the-art stadium, art galleries, medial center to construction (they are building new dorms at the moment). I feel like I am exposed to and learning something new every day. More importantly, I feel valued and that I am making a difference. I worked in a mid-size public accounting firm for a couple of years. Compared to that it’s been great work-life balance here. I normally work 8 hours on weekdays and there is little stress. Colleagues are nice, flexible and understanding, probably because no one is stressed out here. Also, there is not much traveling. Some people like the experience of traveling around the world. For me, as a husband and a new dad, I appreciate the fact that we have little traveling. Work mostly involves operational audit versus financial audit. This means you look at purchasing, payroll, and various programs. If you enjoy working on lots of numbers and complex mathematical models, this may not suit you. Also, salary tends to be lower unless you work in a big, research-intensive university. Benefits is usually good though. If you work in a state school you get state retirement plan. I need to take and pass the CPA exam within 3 years in order to become a senior. A certification and/or experience is required for a supervisory role. Going forward, I am not sure — the office isn’t big… senior positions become available only if someone move on or retire. Any advice for those interested to become a University Auditor? I’ve met with other IA people in neighboring universities. It seems like most of us prefer to hire someone with master’s degrees. The fact that you went to the university is helpful. My interview was actually quite tough, meeting everyone in the team for an afternoon. But at the end of the day it’s personality fit. If you are still in college, try landing an internship at the Internal Audit office. It’s a great experience and they will likely offer you a position if it is available, either right away or years later if you keep in touch with them.